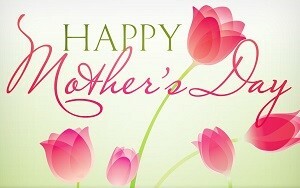 Here are some great ideas for your Mom for Mothers Day. May 8, 2016 is a day to spoil your Mother and let her know how special and wonderful she is! You will find something for ever Mom! Fango Body Refining Polish, 6 oz – A sugar-based polish that refines and exfoliates, improving skin’s tone and texture. Fango Active Radiance Facial Oil, 1 oz – A lightweight blend of botanical oils that hydrate, restore and transform skin’s tone and texture. Tono Body Lotion, 8.4 oz –An ultra-light lotion that helps to soothe, comfort and restore skin’s natural glow and resilience. Borghese Mother’s Day Skin Perfection Gift Set ($69, Borghese.com): Have her diving into detoxification. It includes: SeaSource Detoxifying Rescue Wash, SeaSource Foaming Sea Salt Scrub, SeaSource Renewing Body Gelée, SeaSource Fortifying Hair Mask, and SeaSource Sea Mud Face & Body Mask. This collection is all she needs to beautify and renew herself with cleansing, nurturing marine-derived botanicals. Give her the gift of relaxation that she deserves! Amarte True Brightening™ Collection Set ($257, AmarteSkinCare.com): Help mom bring back that radiant even skin tone with this all-inclusive ritual kit offering a complete brightening Korean skin care regimen. Using powerful, natural brighteners to fade brown spots and hyperpigmentation, this regimen is designed to uncover your skin’s luminous glow. The kit includes instructions on how to layer the products morning and evening for optimal results as recommended by board certified dermatologist Craig Kraffert, President of Amarte. 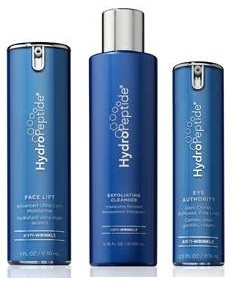 Face Lift: Experience a visible face lift with this smart hydration cream that contains a mega- dose of multi-performance peptides that reinforce skin’s defenses while thoroughly protecting against environmental stressors. Baby Sebamed Skin & Bath Care ($13.49 each, SebamedUSA.com): Save busy moms a trip to the store and give them the gift of a relaxing bath with new, gentle bubble baths and creams that are designed for babies’ delicate skin, but use stress reliving natural ingredients like lavender and chamomile, perfect for moms to relax with after a long day. Baby Sebamed is a top dermatologist-developed skin care brand formulated at pH 5.5, the ideal pH for babies’ skin. Made especially for sensitive, delicate and even problematic skin, Sebamed formulas are hypoallergenic and tear, soap, gluten and alkali free. They are tested and approved by moms and dermatologists, and can be used on newborns through to toddlers. For a complete package, pair these gifts with a soft towel or bathtub toys. 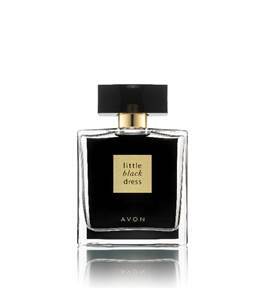 Avon Little Black Dress (Visit AVON.com to locate an Avon Representative or to shop online, $25) The perfect embodiment of classic elegance – just like mom! The Little Black Dress is the first in a new collection designed for the woman who appreciates the finer things in life. 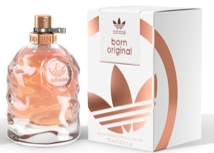 The scent debuts in a midnight-black cap with peek-a-boo pump and black backed bottle featuring accents in shimmering gold. The Notes: Timeless and classic, Little Black Dress opens with sparkling citrus notes of fresh Italian lemon oil, sourced from the finest lemon groves in Italy. The scent develops to reveal a delicate floral heart of exotic white jasmine essence, prized for its sensual and intoxicating aroma. Warm and captivating sandalwood finishes the scent, with deeply creamy, woody notes. Inspired by the serene setting of the Convent in the South of France, this collection will help mom indulge in a moment of perfect calm. The collection features a selection of premium goods designed to help steal away a few moments each day to reflect and restore. From the nourishing hand cream to the blissful pillow mist to indulge in total relaxation, each product offers a moment of pure calm. Botanical Cologne of Serenity ($38): Inspired by the breathtaking surroundings of the Convent, this botanical fragrance captures the tranquil waters of a lake high in the mountains of Haute-Provence. Made from an original recipe, the fragrance blends delicate lavender and bergamot for a relaxing scent, while lily of the valley, rose and blueberry notes combine over base notes of warm cedar for a revitalizing finish. Moisturizing Hand Cream ($8): Light and silky, this indulgent hand cream helps to soften and hydrate dry hands. The fragrance pays homage to the Original Recipe with a signature blend of lavender and mandarin, leaving hands lightly scented. Relaxing Shower Gel ($12): Inspired by the relaxing setting of the Convent, this rich, plant-based cleansing base gently cleanses skin while leaving behind a revitalizing fragrance. Relaxing Foaming Bath ($19): Create an atmosphere of well-being with this luxurious, cleansing foam. Made from an original recipe, the foam combines lavender with mandarin for a calm, restful scent. Relaxing Pillow Mist ($18): Drift away to peaceful relaxation with this gentle mist. The scent blends essential oils with florals for a fragrance that’s evokes a sense of calmness. Simply spray the fragrance onto your linens or in your bedroom, and allow the soothing scent to provide an instant feeling of well-being. G.M. 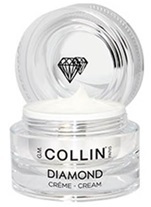 Collin Diamond Cream ($230, GMCollin.com) : A luxurious anti-aging cream formulated with precious ingredients and cutting edge biotechnology, focusing on sculpting perfect skin. From the first touch, this sumptuous cream envelops skin with a caress as soft as cashmere, while visibly reducing the appearance of fine lines and wrinkles, providing intense moisture, and promoting elasticity and firmness. The anti-aging luxury cream is formulated with an innovative synergy of precious diamond powder, a peptide complex, and snow algae. 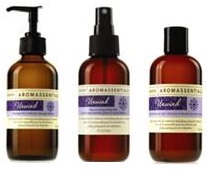 Aromassentials® Unwind Rejuvenating Body Mist ($20, Arbonne.com): A breath of serenity. Embrace the calming aroma of this hydrating spray. Our aromatherapy bath and body line enhances relaxation and energy through natural essentials oils and botanicals. Aromassentials® Unwind Massage Oil ($38, Arbonne.com): A luxurious massage oil that will help you reclaim your natural state of peace. Our aromatherapy bath and body line enhances relaxation and energy through natural essentials oils and botanicals. You deserve to unwind with that massage you have been dying for. Aromassentials® Unwind Bath and Shower Gel ($21, Arbonne.com): Begin your journey to tranquility and gently cleanse your body. Our aromatherapy bath and body line enhances relaxation and energy through natural essentials oils and botanicals. Take your time in the shower to unwind and relax with this therapeutic cleansing gel. Anti-Wrinkle Polish & Plump Peel ($78, HydroPeptide.com): Improve the appearance of lines and wrinkles while instantly illuminating the skin with oxygenating vitamin C crystals that deliver the benefits of microdermabrasion with zero downtime. Peel 1: Contains microdermabrasion crystals to polish away the look of wrinkles. Peel 2: Offers superior anti-aging properties including visible wrinkle reduction, improved skin elasticity and increased hydration post-exfoliation. 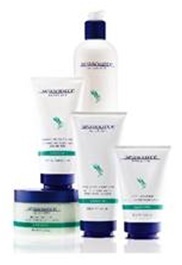 Results include brighter, more even complexion and smoother skin tone. NEW! CARITA Paris Perfect Gems Serum Trio of Gold ($390, CaritaDirect.com): Combines rare and highly specialized active ingredients with cutting-edge complexes to create a unique formula that offers an immediate and long-lasting lift effect. The skin is regenerated both on the surface and within, regaining the lasting radiance of its original youth. Its ground-breaking delivery system incorporates precious golden pearls that are activated into a fresh gel texture upon application, preserving all of their integrity and efficiency. At the heart of this product is a cutting-edge complex: Trio of Gold, CARITA’s signature precious free radical shield, combines 3 different types of gold – mineral gold, plant gold and biological gold – to illuminate, preserve and protect the skin. 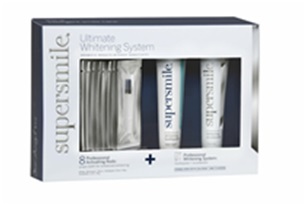 Supersmile Ultimate Whitening System ($58. SuperSmile.com): This advanced combination of the Supersmile Professional Whitening Toothpaste, Professional Whitening Accelerator, and Professional Whitening Rods safely whitens surface and intrinsic stains for whiter and brighter teeth. Strengthens and protects for healthy teeth and gums as you brush daily. The combination of the Calprox® in the Supersmile Toothpaste, the peroxide in our Accelerator, and the Sodium Bicarbonate in our Activating Rods removes stains above and beneath the enamel for deeper whitening. Formulated to be used to maintain and enhance the vibrancy of professionally bleached teeth and removes coffee, tea, tobacco, red wine and other stains. Restores bonding, caps, veneers and dentures to their original whiteness. 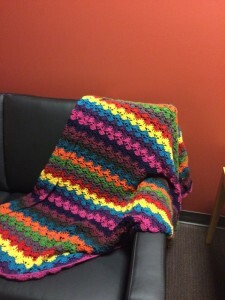 One of my favorite things to give for gifts is something home made – here is a blanket I made that I am sure my Mom will love. You can read more about it HERE. Beyoncé Heat Kissed captures sensual intensity in a bottle. The heart of the scent is surrounded by fruity top notes – Sri Lankan dragonfruit, lychee, and ripe mango – together giving Beyoncé Heat Kissed it’s lively vibrance. 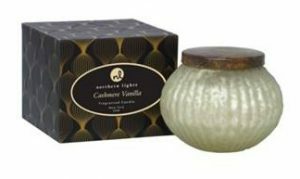 Exotic woody notes of natural patchouli and African sandalwood combine with an infusion of vanilla, creating an enchanting love potion ($19.99; Walgreens). Keep mom up to date in the latest Korean beauty trends with Beauteque’s ‘Mask Maven’ and ‘BB Bag’ monthly subscriptions with an assortment of products ranging from makeup, skin care, beauty tools, body care, hair care and a variety of face and body masks. Prices per subscription range depending on the monthly plan chosen.